That graffiti artist is so good ~ it’s a shame they don’t get paid for their work ~ well, I guess they don’t anyway? Haha, probably not quite the thing for claustrophobes with a fear of water, but otherwise they look like fun :). 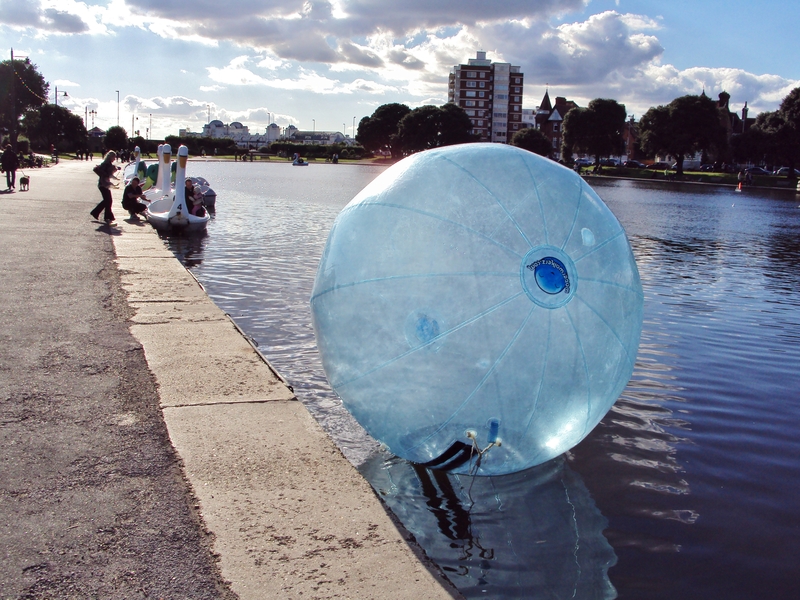 I didn’t see anyone using these inflatable balls yesterday, although the mechanical swan-boats (visible in the background) were quite popular. 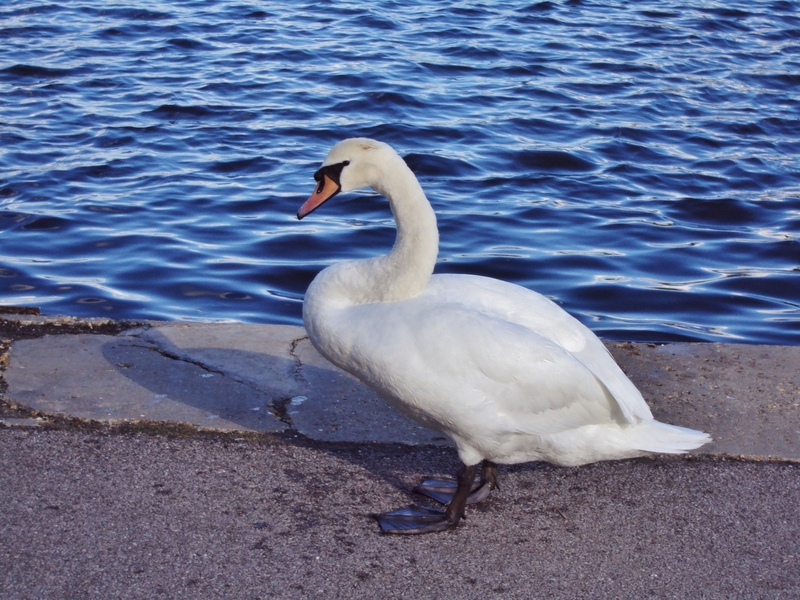 In fact, there’s great photographic potential on the Canoe Lake, in that there are both live swans and these mechanical ones, and with a bit of patience I’m sure it’ll be possible to get both juxtaposed in a picture. 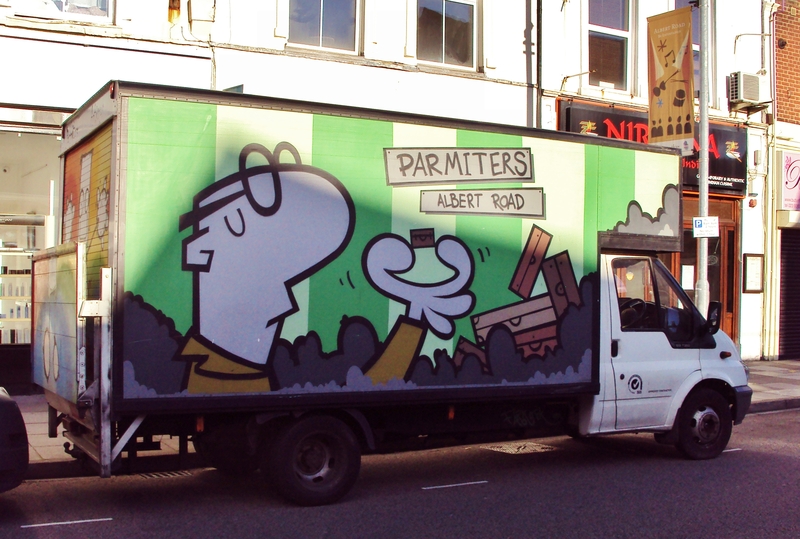 As for the painting on the side of the van, I’d imagine the artist was asked to do it by Parmiter’s (an antique shop in Albert Road, near the Kings Theatre), and paid a fee for it, although in general, I’d guess he doesn’t get any income from his artwork, especially that around Fratton Park. Yes, it was a lovely sunny day in Southsea yesterday, and fortunately I don’t have to worry about de-icing the car windscreen, as, for better or worse, I rely on public transport ;).